What if, by reading an excerpt of an awesome novel or memoir, you could help donate books to deserving young kids in the U.S.? Join the #ProjectReadathon Million Minutes campaign, and you can give back to kids across North America—just by reading. How awesome is that? By contributing minutes, you’ll trigger book donations from Penguin Random House to Save the Children, helping young readers in local communities in the U.S., Canada, and Mexico. The more you read, the bigger impact you make: read a 20-minute excerpt and you’ll unlock a 5-book donation, or read 120 minutes and you’ll unlock 60 books. We picked six books that you can easily tear through in a week. Whether it’s a mystery you won’t be able to put down, a timely work of nonfiction, or a riveting memoir, these picks are perfect for #ProjectReadathon. 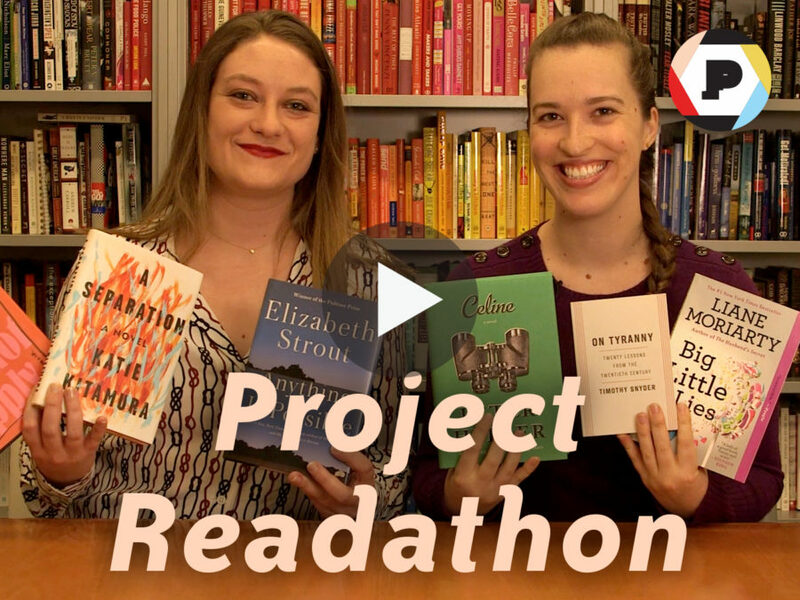 Watch the video below for our reviews and visit ReadWell.penguinrandomhouse.com for more about #ProjectReadathon and to start reading. Visit ReadWell.PenguinRandomHouse.com April 17 – 23, 2017 and read free, timed excerpts from Penguin Random House books and authors to help them reach their Million Minutes goal. What excerpts are you looking forward to reading during #ProjectReadathon? Let us know in the comments below or on Twitter or Instagram using the hashtag #ProjectReadathon.